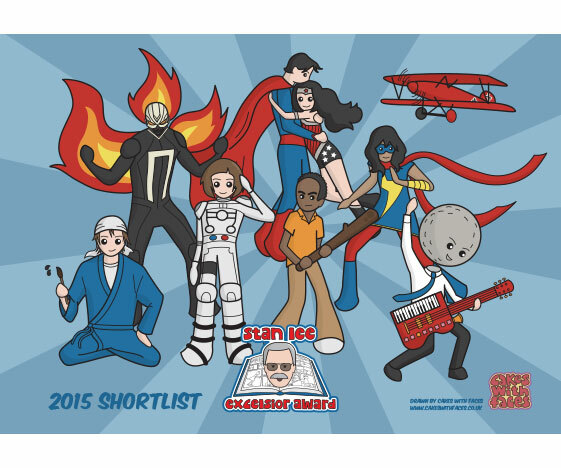 We’re excited to be working with the Stan Lee Excelsior Award 2015, for the third year! 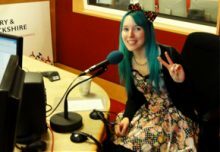 The awards are a UK nationwide comic book and graphic novel reading scheme for young people aged 11-16. Eight comics (including one manga) are short-listed by the organiser Paul Register and his team. Young people read the comics and rate each of them, and the winner receives the award. There’s also an award called the JABBICA (Judge A Book By Its Cover Award) that’s voted for by school librarians. The awards are part of CLAW (Comics Literacy Awareness), a charity that aims to improve literacy through comics and graphic novels. Last year over 180 schools were involved in the awards, with over 3,000 comic book ratings! 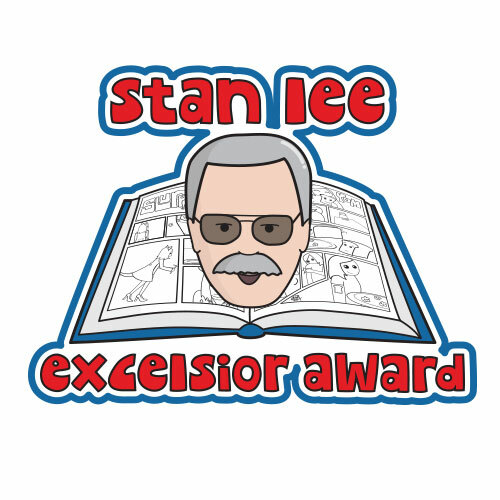 This year there’s also a Stan Lee Excelsior Award Junior, for ages 8-11. 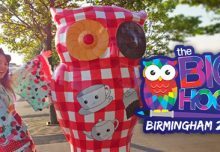 The winning comics are announced at an Awards Ceremony in the summer, which is always a lot of fun, with special guests, comic quizzes, prizes and stalls (including Cakes with Faces!). 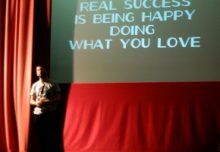 Read our blog post about it here. We can’t wait for this year’s ceremony, and to see which book wins! Keep an eye on our Facebook page for pics from this year’s ceremony. We love comics (in fact we wrote and drew one ourselves! ), so it’s great to support the awards, which are also endorsed by Stan Lee himself! Previously we’ve designed t-shirts for the awards, but this year we thought we’d do something different. For 2015 there’s a range of smaller pocket money items, so everyone involved with the award can have a little something to show their support for the scheme and promote reading and comics. Posters – Featuring characters from each of the short-listed comics, including Moonhead, Superman, Wonder Woman, Miss Marvel and more, drawn in Cakes with Faces style. Fridge magnets – With inspiring quotes from comics legend Stan Lee. Stickers – Who doesn’t love stickers? The set of 4 features characters from the shortlist. Keyrings – With the awards logo and “I <3 comics” on the back. Button badges – A random set of 3, featuring the awards logo, Stan Lee, I <3 Manga, I <3 Comics and Comic Book Nerd! We hope you like the designs, and that they help spread the love for comics and manga! These items are all available to order from our online shop. Orders are welcome from schools, libraries and individuals. Schools have the option to pay by invoice or by card through the online shop. There are also bulk options available, for groups and classes. 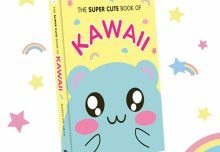 Don’t forget to check out our other t-shirts, cushions, watches and accessories, which are all 100% original designs by Cakes with Faces – and our How to Make Sushi recipe comic book!